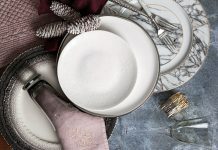 From snow-covered mountains to frosted pastures, serene hues of blue and icy gray reflect winter’s enchantment in this featured Mix & Match setting. 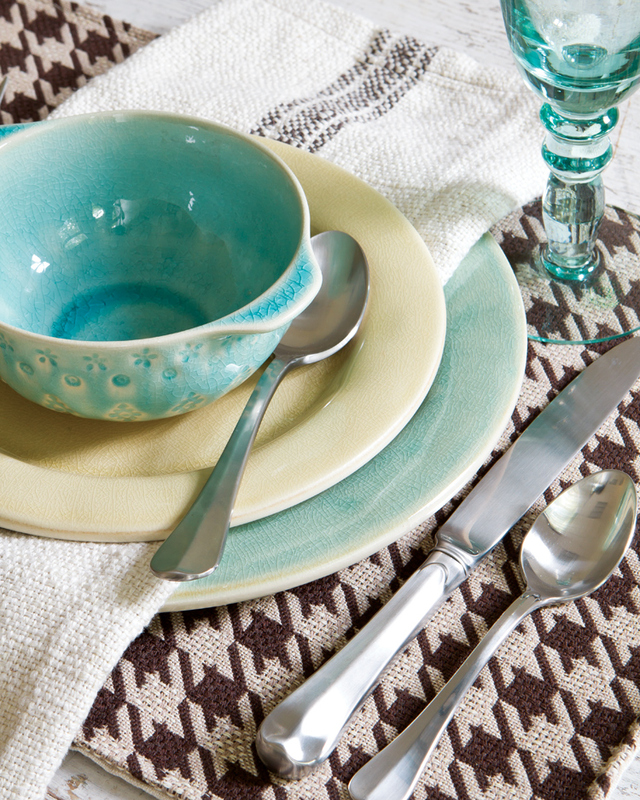 Wintry options abound with a versatile ceramic plate, Corsica Dinner Plate by Casafina. 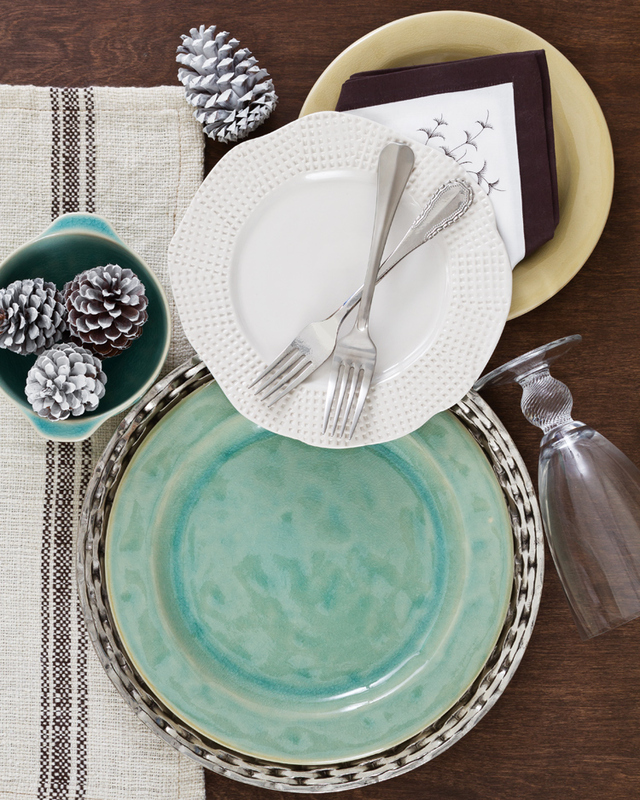 Pair blue dinnerware with a snow-white salad plate and a metallic charger for a frosty color scheme. 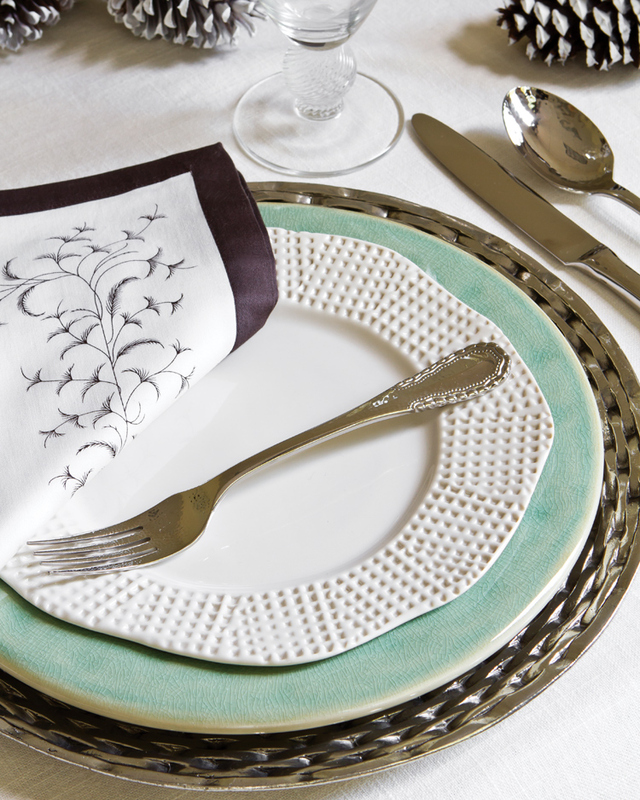 Incorporate feminine accents, using ornately outlined flatware and a botanical-themed napkin. A scattering of silver pinecones completes the wintry setting. Vintage Charger by Arte Italica, Salad Plate by Michael Wainwright USA, Merletto Flatware by Ricci, Napkin by Juliska; Bromberg & Co, brombergs.com. Optic Ball Water Stem by Casafina; The Pink Daisy, thepinkdaisy.com. 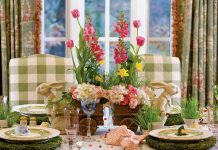 Provide a textured backdrop to the inspiration piece with a playful houndstooth place mat. 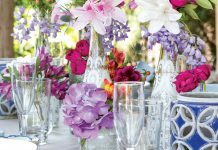 An aqua dessert bowl and wineglass lend additional pops of color and make this setting ideal for a casual meal by the warmth of the fire. Houndstooth Place Mat by French Laundry Home, Brussels Brown Stripe Napkin by French Laundry Home, Bistro Satin Flatware by Juliska, Recycled Wine Glass by Vietri; Bromberg & Co, brombergs.com. Corsica Salad Plate in Sand by Casafina, Corsica Dessert Bowl with Relief in Aqua Marine by Casafina; The Pink Daisy, thepinkdaisy.com.